The 89th Annual Macy’s Thanksgiving Day Parade will air live on NBC in all time zones on Thursday, November 26, 2015 from 9 AM until NOON. The 89th Annual Macy’s Thanksgiving Day Parade, produced by the Emmy Award-winning Brad Lachman Productions is about to delight millions when it airs live in all times zones on NBC, Thursday, November 26th beginning at 9 AM; with an encore presentation on the same day from 2-5 PM. The parade will march down the streets of New York City, and to anchor the broadcast are NBC’s Today co-anchors Matt Lauer, Savannah Guthrie, and Al Roker. The Macy’s Thanksgiving Day Parade has more that 3.5 million spectators and is seen in over 50 million viewers across the nation. The nation’s most celebrated and anticipated holiday event has more than 8,000 participants from balloon handlers, Broadway stars, musicians and marching bands, and entertainers. These folks will travel through Manhattan to “the sound of the iconic catchphrase ‘Let’s Have a Parade'”. On top of the celebrities in attendance, viewers and spectators along the parade route will see performances from the world-famous Radio City Rockettes and theatrical productions “Fiddler on the Roof,” “Finding Neverland,” “The King & I,” “On Your Feet!” and “Something Rotten” will perform on the 34th Street set in front of Macy’s. Also, to prepare the world for the greatness of NBC’s “The Wiz Live!” which premieres Thursday, December 3, at 8 PM ET/PT, viewers will get a sneak preview performance. No Macy’s Thanksgiving Day Parade would be complete without balloons, floats, and marching bands. For the 89th year, four new balloons will be introduced: Angry Birds’ Red; the pre-historic and legendary DINO; Ice Age’s Scrat and his Acorn; and Ronald McDonald will debut his fourth balloon. Six new floats will make an appearance in the 89th Macy’s Thanksgiving Day Parade: “Big City Cheer!” by Spirit of America Productions, “The Colonel’s Road Trip to NYC” by Kentucky Fried Chicken, “The Cranberry Cooperative” by Ocean Spray, “Discover Adventure!” by Build-a-Bear, “Heartwarming Holiday Countdown” by Hallmark Channel, and celebrating the 50th anniversary of “A Charlie Brown Christmas,” “Snoopy’s Doghouse” by Peanuts Worldwide. Just as the balloons and floats bring so much joy to the spectators of the parade, the marching bands bring smiles to faces and make folks do a gig. The marching bands performing the 89th Annual Macy’s Thanksgiving Day Parade are Gulf Coast High School (Naples, FL), Lewis Cass High School (Walton, IN), Munford High School (Munford, TN), Nogales High School (La Puente, CA), North Hardin High School (Radcliff, KY), Stephen F. Austin State University (Nacogdoches, TX), University of Illinois at Urbana-Champaign (Champaign, IL), University of Virginia (Charlottesville, VA), Walled Lake Central High School (Walled Lake, MI), West Chester University of Pennsylvania (West Chester, PA), and the NYPD Marching Band (New York,). Also, the Macy’s Great American Marching Band will celebrate its 10 anniversary with a performance that includes alumni band members and 250 elite high school marching band students from across the country. And for fans that enjoy behind-the-scenes, go to Macys.com/parade for an insider’s look with previews, animated videos, and other exclusive content. Also, there is a free 89th Annual Macy’s Thanksgiving Day Parade app where one cane learn more about all the parade entails, and give you the chance to share content with your family and friends. The app is available on iTunes and Google Play. 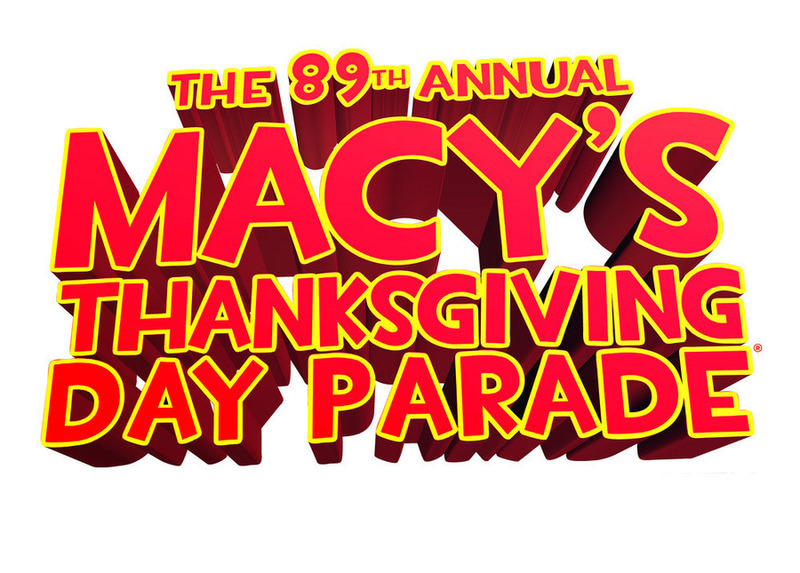 The 89th Annual Macy’s Thanksgiving Day Parade will begin at 9:00 a.m. from 77th Street and Central Park West. The procession will march to Columbus Circle, turn onto Central Park South and march down 6th Avenue/Avenue of the Americas to 34th Street. At 34th Street, the parade will make its final turn west and end at 7th Avenue in front of Macy’s Herald Square. A Holiday Treat for Children Everywhere has been the guiding motto of this annual tradition for more than eight decades and is one which continues to this day.